Amgen has decided not to seek Supreme Court review of the Federal Circuit’s Amgen v. Sandoz decision, as the January 14, 2016 deadline to file has now passed without Amgen petitioning for certiorari. Amgen v. Sandoz is the first and to date the only Federal Circuit decision interpreting the Biologics Price Competition and Innovation Act (BPCIA), which governs patent disputes related to biosimilars. It was a split decision, with Amgen prevailing on one issue and Sandoz prevailing on another. The issue that Amgen lost concerns whether the BPCIA patent dispute resolution procedures, known as the “patent dance,” are mandatory or optional. The Federal Circuit held that a biosimilar applicant can opt out of the BPCIA’s patent dance by choosing not to provide its abbreviated biologics license application (aBLA) and manufacturing information to the innovator company, and that the only consequence of doing so is being subject to an immediate patent infringement action by the innovator. With the Federal Circuit having already denied en banc review, Amgen’s decision not to seek cert appears to mean that the patent dance is now optional as a matter of settled law. There is, however, one caveat. The caveat is that unlike Amgen, Sandoz does seem set to seek Supreme Court review of the issue that it lost. Though Sandoz has not yet filed a petition for certiorari, it has sought an extension of the cert deadline to February 16, suggesting that it intends to file a petition next month. 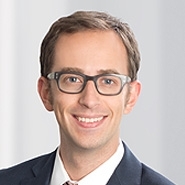 Sandoz’s cert petition would challenge the other issue in Amgen v. Sandoz: the Federal Circuit’s interpretation of the BPCIA’s “notice of commercial marketing” provision, which requires biosimilar applicants to give innovators 180 days’ notice before marketing their biosimilar product. The Federal Circuit held that a biosimilar applicant may only give effective notice of commercial marketing after the FDA has licensed its product, and that, unlike participation in the patent dance, the 180-day notice requirement could be enforced by an injunction. If Sandoz files for cert on the 180-day issue, Amgen would be able to file a conditional cross-petition under Supreme Court Rule 12.5, asking the Court to address both parties’ issues if it takes the case. For this reason, it remains theoretically possible that the Supreme Court could review the Federal Circuit’s holding that the BPCIA patent dance is optional. But by choosing not to seek cert, Amgen has made that outcome less likely. We will continue to monitor the case as it makes its way through the cert process.